I admit it. I had to laugh when I read about the Jewish version of ‘Club Fed’. I didn’t want to, But I couldn't help it. 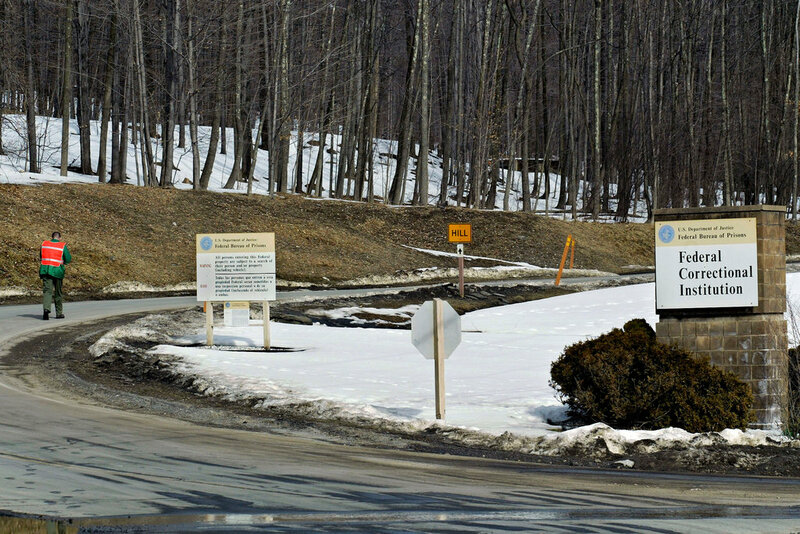 If a prison for Orthodox Jewish criminals were made in Heaven, Otisville would be it. Which says a lot about how accommodating the United States penal system is for our people. But it is really no laughing matter. That a prison like this even exists says more about us than it does about the United States. Not in a flattering way. More like in a Chilul HaShem way. Which is why I feel guilty for even laughing. I should be crying. As should anyone else in the world of Orthodox Jews that read this story. The New York Times describes Otisville in the context of the upcoming incarceration of former Trump lawyer, Michael Cohen. He asked for this minimum security prison to serve his 3 year prison sentence. White collar non violent criminals sentenced to prison terms of under 10 years have the right to request the facility in which they will serve time. Cohen chose Otisville. What the minimum-security camp at the Federal Correctional Institution in Otisville, N.Y., does offer is a rarity in the federal prison system: a full-time Hasidic chaplain who oversees a congregation of dozens of Jewish inmates who gather for prayer services three times a day. (M)ost inmates are Jewish — many of them orthodox and Hasidic — and many are doctors, lawyers, accountants and businessmen who committed fraud. A few also have backgrounds as ordained rabbis and, once inside, some assume a spiritual leadership role. Inmates periodically hold an informal vote to elect a “gabbai” to run the shul, which is currently led by a Hasidic man from Williamsburg, Brooklyn, who is locked up for arson and corporate fraud. With limited ingredients, inmates devise innovative ways to make Passover Seder meals featuring kosher chicken, handmade matzo, horseradish and grape juice. For Sukkot, inmates assemble a large wooden sukkah shelter outside to sit and eat meals in. Many inmates “knew the Talmud inside and out,” said Mr. Dressler, a lawyer in New Haven who served 18 months in Otisville for mortgage fraud. They often conducted religious classes and gained inmate followings, as did a Hasidic rabbi from Brooklyn who got caught up in mortgage fraud before the 2008 housing market crash. Then there was the Syrian rabbi from Deal, N.J., who was involved in a money-laundering scheme and whose parables were particularly enjoyed by Russian Jewish inmates from Brighton Beach, Brooklyn, who were in prison for health care fraud. It is almost as though Ottisville is a summer camp for Orthodox Jewish adults. That such a prison exists in permanent form is a massive Chilul HaShem. Religious Jews; Rabbis that are ‘Talmdei Chachamim’ Chasidic Rebbes – all in prison found guilty of fraud and other white collar crimes. There are so many that is seems that there will never be a shortage of rabbis in prison to be spiritual guides for their fellow Jewish inmates! There are some Orthodox Jewish activists that might take pride in helping create a ‘Club Fed’ for Orthodox Jews. But pride is not the emotion we should be feeling about such ‘accomplishments’. We should instead be ashamed that a permanent facility like this exists! Should the ability for Orthodox Jewish inmates to perform their religious obligations be our primary goal? Or should it be to see that crimes like this are so rare, that a permanent facility wouldn’t be needed? How sad that accommodating religious requests is of far more import to these inmates than the crimes that put them there. And the Chiul HaShem they make as religious Jews serving time in prison for their crimes. It is almost as if they are saying… OK! I got caught. But I did nothing wrong in the eyes of God. I will serve my time but I will not compromise my religious standards. It is an attitude like this that keeps places like Otisville humming. I have little doubt that in some cases - upon finishing his sentence a religious inmate will at some point try it again– thinking this time he will be smart enough not to get caught. I know at least two people personally like that. They are both in prison. One of them a rabbi that gives a Shiur to other inmates! There has to be a concerted effort on the part on al of us to effect change. Every major religious Jewish school staring from kindergarten through high school and beyond needs to teach students how terrible a crime like fraud is. That it is forbidden by Jewish law just like eating Treif food is. Only wore because of the Chilul HaShem it makes. But that isn’t enough. Every major Orthodox community organization needs to focus on this as a first priority. More than emphasizing Tznius. More than fighting for schools that refuse to teach secular studies. More than ostracizing far left Orthodox movements. It should be focused upon with every adult educational tool at their disposal. No public forum should ignore this subject. No matter what agenda they might otherwise have. Legitimate or otherwise. Avoiding Chilul HaShem should be the top priority! Perhaps most importantly people that commit crimes like this ought not be celebrated for any reason. Not praised for how Frum they were in prison. Or honored because of their philanthropy. Unless and until they issue a sincere public apology for what they have done and pledge to work with community leaders to end this scourge. Until such time - they should be shunned. Not honored. If this ever happens on a mass scale - Otisville would cease to exist as a ‘Club Fed’ for Orthodox Jews. It would no longer be needed because Orthodox Jews would no longer commit these kinds of crimes. For those rare times it might happen it can be dealt with on an individual basis.